Situated nearby to Loddon and Beccles our gardens surround Raveningham Hall, home to Sir Nicholas and Lady Bacon (and home to the Bacon family since 1735). Enjoy the beauty of our varied and ever-changing floral seasons. The Gardens are set out as the Edwardian plans with large herbaceous borders surrounding a Victorian walled kitchen garden. In the 1960s the planting was enhanced by the inspiration of Priscilla, Lady Bacon an energetic plantswoman who collected many rare species from around the world transforming the garden over 50 years. The walled kitchen garden was brought back to full working order in the last 20 years and is now producing fruit and vegetables for the House. There is a fine late 19th century Boulton and Paul range of glasshouses, stocked conservatory and melon pits, all in working order. A Millennium project by Nicholas Bacon to build a lake on the North side of the House is now firmly established as is an Arboretum that was planted after the destruction of a wood in the 1987 gale; this gave an opportunity to plant a large variety of trees and shrubs under a plan designed by the eminent plantsman Roy Lancaster. New additions to the garden include a Herb Garden, a Stumpery and a garden designed around Francis Bacon’s essays based on the passage of time. The main specialities of the garden are snowdrops followed by bulbs in early spring, later in the season agapanthus are a main feature. Our Gardens are circa 10 acres all in a glorious 18th Century parkland setting with sculpture by Susan Bacon in and around the gardens. Well behaved dogs on leads are welcome. 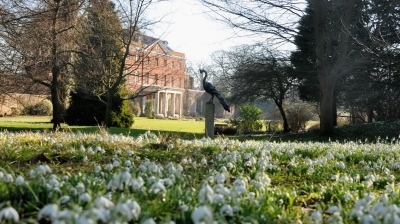 See drifts of snowdrops during our famous snowdrop season in February. Our Priscilla Bacon Hospice fundraising days are on February 10th and 17th where guided tours are included in the entry price at 11am & 12noon (£5, £4.50 concessions, U16’s free). We are open for both individual visits and Group Tours of 10-30 people. Our Gardens and Tea Room are open throughout February 11-4pm (closed Saturdays) and on set days April to August. 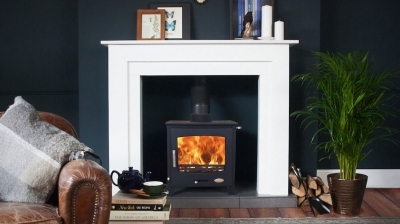 Please see our website www.raveningham.com for opening days & times. Become a friend and visit throughout our opening times for just £20 per person. Please contact sonya@raveningham.com 01508 548480 for all enquiries, individual or group. We look forward to welcoming you to our living garden. The unique Bressingham Gardens are renowned worldwide for their horticultural excellence. With nearly 20 acres, four linking gardens and 8,000 plant species they can are a truly tranquil place, perfect for relaxing and enjoying the scenery. 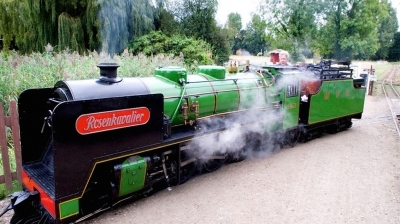 Take a trip on one of the four railways at Bressingham, the collection of working locomotives will take you round our magnificent gardens and woodland, or ride on the Victorian Steam Gallopers. A trip to the locomotive sheds brings the power and the glory of mighty steam engineering up close. The National Dad's Army collection lets you wander through Walmington-on-Sea looking at original props and vehicles from the series, you'd be a 'stupid boy' to miss it! Wednesdays to Sundays are always Steam Days. Service level - At least two trains and the Gallopers will be running. On Sundays and Bank Holiday Mondays we aim to operate three trains and the Gallopers. Bressingham Steam & Gardens, reg. charity no. 266374, was founded by the late Alan Bloom in 1961. Indie Voucher Details: M Shepherd Optometrist in Long Stratton is delighted to offer 10% off complete prescription glasses and sunglasses on presentation of this Allthingsnorfolk Indie Voucher. Please call 01508 532669 or pop in and have a look at the range included in this offer. We look forward to welcoming you soon. Your local, family run opticians are here to provide you with the utmost in quality care for your eyes; a friendly, helpful and truly personal service and the latest in dispensing technology. 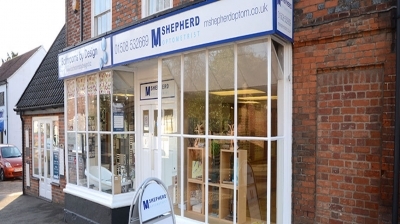 For straightforward advice, comprehensive eye examinations, an extensive range of standard and designer frames and sunglasses, contact lenses, accessories and a warm welcome, drop in to see us at M Shepherd Optometrist on The Street, Long Stratton. Indie Voucher Details: Madeline Dando Books of Wymondham have a special offer of purchasing both "Amber Sands" and "Leaving Her Tears Behind" for £15.98 with free postage. To take advantage of this offer and place your order please email Martin at madelinealicedando@gmail.com quoting "All Things Norfolk offer"
Thank you for visiting my page. I am an author from Wymondham in Norfolk and I write under the pseudonym of Madeline Dando. This was the name of my late mum and I am extremely proud to write under her name. My real name is Martin Wanger and I originate from the East End of London. I have been married to my lovely wife Brenda since 1972 and we have two grown up children. I am so proud to live in beautiful Norfolk; we’ve lived here since 1994 and we simply adore the county. We love socialising, travelling and listening to all types of music together. I also have a huge love for steam railways and is there a better place than Norfolk to experience them at their best? I’m a sport fanatic too loving football, cricket and golf. I’m a supporter of Tottenham Hotspur, but please don’t hold that against me! For many years I have had a burning desire to create inspirational stories that readers can lose themselves in. I have self-published two books to date; the first called “Amber Sands”, a true love story with bags of courage, resilience and triumph over adversity. I want the book to warm your heart, break your heart and to inspire each and every reader. "What a wonderful read, It was such a heartffelt story. The characters came alive, the book was an easy book to read and once I started reading I could not put it down. I don't often cry but Amser was such a lovely character and became so real. Can't wait for the next book by this author"
"I have just finished reading Amber Sands. It is a really heart warming story with lots of real life issues covered. It is a story of first love and how sometimes however hard you try the feelings for that first love never go away. Its a story of how we cannot change the post but we can change the future. The story is very well written and I found hard to put down. I am looking forward to the sequel"
"An unwanted child looks beyond her own grief and loneliness to give others what she craved for but never received – the gift of love and understanding. The heroine of Amber Sands reminds me of someone I know; and I think a lot of readers would end up relating to her. Amser is a large-hearted, kind and wonderful woman. Even when things are not going well for her she is busy bringing sunshine into the lives of those around her. A single parent, she has instilled the same values in her own daughter. The plot is simple and moves at a pace that makes it easier to fall into step with Amser and her life. I am looking forward to reading more books by this author"
My most recent novel is called “Leaving Her Tears Behind”. A story of love, desire, greed, hate and revenge, that I think will keep you on the edge of your seat right till the very end. When you read my books I hope you will gain a sense of everything that I love around me, including the wonderful county of Norfolk and the incredible people that live here. Two thirds of "Leaving her Tears Behind" is set in North Norfolk in a fictitious place called Cleybourne. Of coiurse I had Weybourne in mind and there are reference to Sheringham, Sheringham Park, Aylsham, Holt, Holkham Beach, Swaffham and the North Norfolk Railway (which is a particular love of mine as well as Sheringham Golf course) . 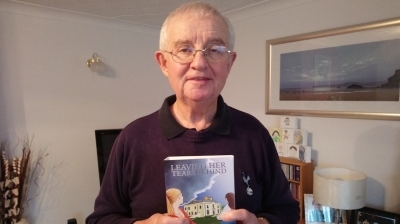 Reviews on Leaving Her Tears Behind. "Leaving her tears behind is a must book to read. The characters in the book became very real. Some were more likeable than others. The ending was not as expected so if you are reading this book don’t skip any pages and read to the very end. I recommend this book easy read". "An exciting tale of two women, totally opposite in personality, told against the background of war torn London and the contrasting idyllic life in a county manor in Norfolk. The book is filled with realistic characters and situations, but with some surprises to keep one's interest until the very end. I look forward to reading more from this author". "I absolutely loved this book, from the very first page it draws you into the story and the feeling of almost being there. Based around the East End of London it's the area where I was born and grew up and being able to relate to the places and understand the culture of the East End post-war and up the the 1960s it felt as though the story could have related to anyone I knew, including myself. It really is a lovely and engrossing read and I read the whole book within 3 days. I can highly recommend this book as it takes you away from the pressures of the modern day back to a time when things seemed far more simple and straightforward, albeit hard work but a simpler way of life nonetheless. I really look forward to more books from this author".